This chick feed recipe is optimized for young chickens under 10 weeks. 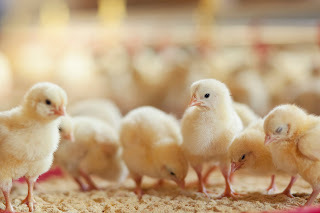 This article describes how to make chick feed that meets the nutritional needs of chicks for maximum, healthy growth. If you’re looking for an organic chick grower feed, simply make sure to use all organic, free-range, and/or grass-fed ingredients. If utilizing meat, be sure to keep the food refrigerated. You may also add meat in separately each day. Be sure to use the entire batch within four weeks.